Special thanks to Valley Isle Gymnastics and state gymnastics champion Austin Cablay. Photo created at the Hui No ‘eau Visual Arts Center by Sean M. Hower. Gone are the dog days of summer where our island children run amuck in the hot and dusty streets, walking to the beach with boogie boards or ride their bikes through town. Nowadays, summer means enrichment and extracurricular activities allowing youth to absorb rays of sunshine while sharpening their creative skills. Not surprisingly, many of our island’s summer camps are dedicated to honing sports during the summer. Rudy Huber coaches Track and Field Adventure camp in June at War Memorial Stadium to help young athletes increase their speed and agility. Tennis training at the courts in Kalama for kids four to 17 is taught by Barb Wallace and Tricia Wilstead. At Aloha Volleyball, Scottie Zucco has been teaching beach volleyball at the sand courts in Kanaha for eight years (he also coaches at Seabury Hall and King Kekaulike). At Valley Isle Gymnastics, the young men’s competitive team gymnasts work as assistant coaches for their summer camps. Both Austin Cablay, 15, (pictured on our cover) and Jonathan You, 14, represented Hawaii in the Regional Championships in Reno in April and plan to teach this summer in the gym. Drama and dance are also great ways for the island’s youth to spend their summer. Theatre Theatre Maui has created a six-week drama camp in West Maui that culminates in an end of summer production at the Westin Maui. This year’s show, The Little Mermaid, Jr, will be directed by Kristi Scott and should be a hit after 2012’s popular Wizard of Oz. In South Maui, your little drama kings and queens can try Kamp Krazy Tales, which is a combined drama and music camp. Art instruction through the summer is another popular outlet for kids. The Maui Youth Art Outreach taught by Lahaina Arts Association has weekly no-cost art classes. At the Hui Noeau, art-intensive camps run all summer and include classes for teens like their T-shirt boot camp and aerosol mural, as well as kid camps that run weekly. Our ocean offers lots of activity for the summer, and not just lounging on the sand. Discover Windsurfing Camps has three-day windsurfing instruction all summer at Kanaha for ages eight to 14. 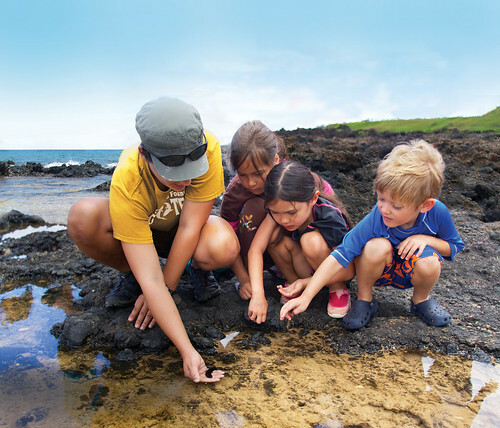 Pacific Whale Foundation has their Ocean Camp that expose kids to marine biology and ocean environments. And Maui Surfer Girls has overnight and day surf camps for teen girls. Of course, some kids focus on brainpower for the summer. The Hawaii State Library is looking for plenty of bookworms to join their “Dig into Reading” promotion that gives rewards for kids who read at least one book per week. WooHawaii Tutoring and Learning Center of Maui both provide summer learning to jump start the new school year or SAT prep. “Multiple studies have proven beyond a doubt that children who read during the summer perform better when they return to school in the fall, score higher to standardized test and are more active and engaged in the classroom,” says Glenda Berry, the Makawao Public Library branch manager. For special needs kids, Imua Family Services plans a weeklong overnight camp that runs June 8-13 called Camp Imua. The camp accepts children two to 20 with various special needs but also recruits more than 250 volunteers, ages 15 and up. The State of Hawaii Department of Education school year ends on May 24, and starts back up again on Aug. 5. No matter what your keiki do this summer have fun and be safe. Ocean Camp Lab. Photo Courtesy of Pacific Whale Foundation. EDVENTURE BLAST OFF! : ROCKETRY – Date: Saturday, June 01. Students will build their very own compressed air rockets using basics of rocket design and engineering. Grades 6-8. Call 808-984-3231 to register. www.edventuremaui.com. $34 Tuition. 9-11am University of Hawaii Maui College, (310 Kaahumanu Ave., Kahului); 808-984-3132;http://www.edventuremaui.com. SEABURY HALL SUMMER SCHOOL INTENSIVE: “THE WRITE STUFF” – Daily (except Sat & Sun) Beginning Monday, June 10 Through Friday, July 12. New this year, Seabury is offering two 12 day sessions in writing for incoming Freshmen and Sophomores to prepare them for success in the upcoming school year. Students may only enroll in one session. Not for school credit. SEABURY HALL SUMMER SCHOOL: GRADES 1-4 – Daily (except Sat & Sun) Beginning Monday, June 10 Through Friday, July 12. Students entering grades 1-4 will benefit from a caring atmosphere that will allow them to learn freedom of expression and to discover hidden talents. The program consists of varied days designed especially for the young student. Priority will be given to students registering for the full day, 5 week program schedule. SEABURY HALL SUMMER SCHOOL: GRADES 5-8 – Daily (except Sat & Sun) Beginning Monday, June 10 Through Friday, July 12. Student wishing to enrich their summer with a schedule of classes selected by themselves will find a great program at Seabury Hall. The Summer School Program is divided in two sections, with many diverse course selections, such as Japanese, Ukulele, Artworks, and even Creative Jewelry. Session 1: June 10th-June 25th. SEABURY HALL SUMMER SCHOOL INTENSIVE: “MORE MATH” – Daily (except Sat & Sun) Beginning Monday, June 10 Through Friday, July 26. New this year, Seabury is offering two 12 day sessions in mathematics for incoming Freshmen and Sophomores to prepare them for success in the upcoming school year. Students may enroll in one or both sessions. Not for school credit. Session 1 (Algebra): June 10th-25th. Studying the tide pools! Photo Courtesy of Pacific Whale Foundation. AKL KIDS DAY OUT OR FAMILIES DAY OUT – Daily. Beginning Monday, May 27 Through Tuesday, July 30. 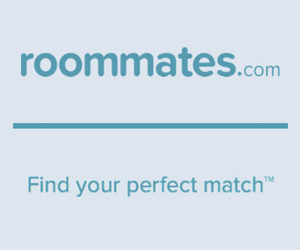 Call or check online for dates. AKL’s Kids Day Out is a fun and interactive way to enjoy Summer Break!!! The event includes fun activities like mini-bouquet making, potting lavender and more! Refreshing Lavender Lemonade and delicious Lavender Shortbread Cookies provided for all participants. Advance reservations required. Children 9 and under must be accompanied by an adult. $3 General Admission, $10+GET for activity. Ali’i Kula Lavender Farm, (1100 Waipoli Rd., Kula); 808-878-3004; [email protected];www.aklmaui.com. PA’IA YOUTH AND CULTURAL CENTER SUMMER PROGRAM – Daily (except Mon & Sun) Beginning Tuesday, May 28 Through Friday, August 02. Drop-in and discover the PYCC, North Shore Maui’s home for body-boarding, skating, media production, radio broadcasting, digital photography, cooking and more! We offer innovative life skills programs, outdoor adventures, and activities for ages 9-18. Drop-In Youth Center: Tue-Sat 11am-7pm, Sat 11am-9pm. MAUI HUMANE SOCIETY SUMMER DAY CAMPS – Daily (except Sat & Sun) Beginning Monday, June 03 Through Friday, July 19. Campers will enjoy an educational week long day camp, with each day filled with games, crafts, activities, guest speakers, and time with the animals! There are five sessions for grades 2-5, and one session for grades 5-8. MONTESSORI SUMMER DAY CAMP – Daily (except Sat & Sun) Beginning Monday, June 10 Through Friday, July 19. Campers get to experience fun filled days of outdoor immersion playing with friends, exploring nature and art, story, and rest. Camp takes place at the beautiful Montessori School of Maui in Makawao. 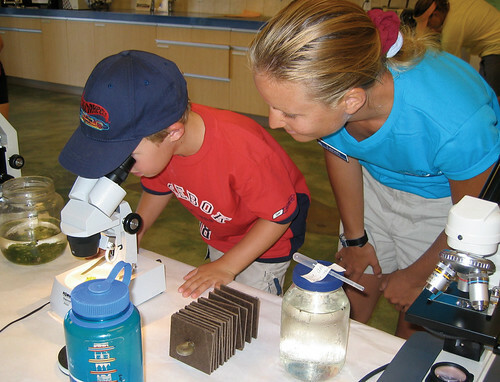 Campers may register for the full summer program or, space permitting, individual week sessions. Ages 3-6 years. Registration due by May 20th. Maui Surfer Girls. Photo Courtesy of Maui Surfer Girls. SOUTH MAUI TENNIS CLASSES – Every Wed & Fri Beginning Wednesday, May 29 Through Friday, July 26. Want to learn to play tennis or expand your skills for competition? Come drop in to the South Maui Tennis high energy classes that include fitness games, drills, and playing skills. No need to register, just show up! Ages 4-17. Wednesday: 4-5pm beginners, 5-6pm experienced players. HOPE CHAPEL MAUI: OFF THE BENCH SPORTS CAMP – Daily (except Sat & Sun) Beginning Monday, June 17 Through Friday, June 21. Hope Chapel offers a week long day camp loaded with quality sports instruction, Bible teaching, fun music, and great memories! Soccer: boys and girls, ages 6-12. Basketball: boys and girls, 8-12 years. AYSO SOCCER CAMP: PUKALANI – Daily (except Sat & Sun) Beginning Monday, June 24 Through Friday, June 28. AYSO Soccer will be providing two Pukalani soccer camp sessions this summer to enable all players, beginning to advanced, to be able to learn and develop awesome soccer skills! Session 1: 9am-12pm. 4-16 years. $109. AYSO SOCCER CAMP: LAHAINA – Daily (except Sat & Sun) Beginning Monday, July 15 Through Friday, July 19. AYSO Soccer will be providing three Lahaina soccer camp sessions this summer to enable all players, beginning to advanced, to be able to learn and develop awesome soccer skills! MAUI SURFER GIRLS OVERNIGHT CAMPS – Daily Beginning Monday, July 08 Through Sunday, July 28. If you’re looking for a surf camp offering more than just surf lessons, sign up for Maui Surfer Girls overnight camps! Located oceanfront, girls will have lessons with qualified instructors, fuel themselves with healthy grinds, and get to spend afternoons and evenings with the choice of tons of great activities, some including; hiking, paddleboarding, ziplines, snorkeling, spa night, talent shows, and guest speakers. Day camps and scholarships available. Ages 12-17. Session 1: 1 week, July 8th to 14th. Session 2: 2 weeks, July 15th to 28th. Session 3: 3 weeks, July 8th to 28th. Camp Kaluanui. Photo by Kelly McHugh. MAPA: PRINCESS DANCE CAMPS – Daily (except Sat & Sun) Beginning Tuesday, May 28 Through Friday, July 26. Princesses will be whisked away to the land of fairy tales! 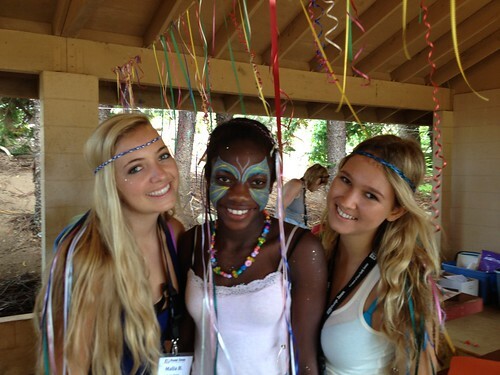 We will spend each day as a different princess and enjoy related dancing, stories, activities and crafts. Bring your imagination and your favorite princess gear. Attire: tiaras, tutus, and tights are welcome. Wear ballet slippers if you have them. Sign up for one, two or three weeks! No experience necessary. Ages 3-5. MAPA: SUMMER DANCE CAMPS – Daily (except Sat & Sun) Beginning Tuesday, May 28 Through Friday, July 19. Students will learn dance skills in jazz, ballet, hip hop, stage presence, memorization, flexibility, coordination and teamwork. Each week culminates in an exciting dance performance for family and friends on the final day. Sign up for one, two or three weeks! No experience necessary. Ages 5-10 years. MAPA: DRAMA CAMPS – Daily (except Sat & Sun) Beginning Monday, July 15 Through Friday, July 19. Learn how to use your bodies, voices and imaginations to create characters and act out stories. Each week culminates in a unique, fun-filled theatrical performance for family and friends on the final day. Sign up for one or two weeks. No previous experience necessary. Ages 6-11 years. HUI NO’EAU PRESCHOOL MURAL ARTS – Each Saturday Beginning Saturday, June 01 Through Saturday, June 22. You and your preschooler will love this one-day mural arts class! Class includes developmentally-appropriate hands-on art experiences, guided gallery exploration, and outdoor play time—designed to keep young minds and bodies active and engaged! Your child and an adult guardian will enjoy an interactive art lesson based on the theme of mural art, experiment with various art media and tools, and create a work of art to take home. This class is made possible by generous support from the Samuel N. & Mary Castle Foundation. Preregistration is required. HUI NO’EAU CAMP KALUANUI – Daily (except Sat & Sun) Beginning Monday, June 03 Through Friday, July 26. Hui No’eau’s Camp Kaluanui program offers a diverse art curriculum geared to stretch minds, exercise imaginations, and introduce new idea-generating techniques. During each session, our team of teaching artists focuses on a different theme. 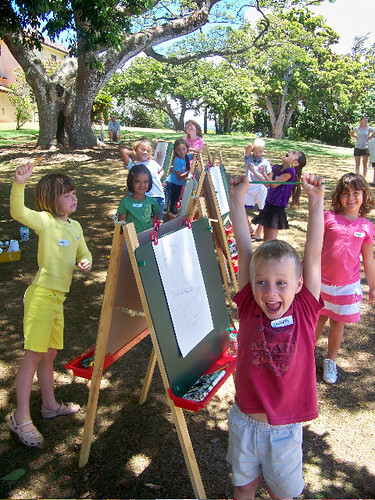 Campers paint, build, design, dance, sing, and play their way through a balanced variety of artistic activities each day as they explore the artist studios and spacious grounds of the historic Kaluanui estate. Ages 5 and older. Campers may register for the whole week of camp or individual days. MAUI YOUTH ART OUTREACH PROGRAM – Every Mon, Tue, Wed & Thu Beginning Monday, June 03 Through Thursday, July 25. The Maui Youth Art Outreach Program provides weekly, no-cost children’s art classes to the Maui community. Summer classes take place in housing community centers and youth centers across the island. Wednesday: 2:30-5pm Kihei Youth Center, 131 S. Kihei Road. Wednesday: 2:30-4:30pm West Maui – Honokowai Kau Hale, 3500 Honoapi’ilani Hwy. Thursday: 2:30-4:30pm. Central Valley – Kahekili Park Terrace, 15 Holowai Place, Wailuku. Camp Imua volunteers and campers. Photo by Makena Gadient.